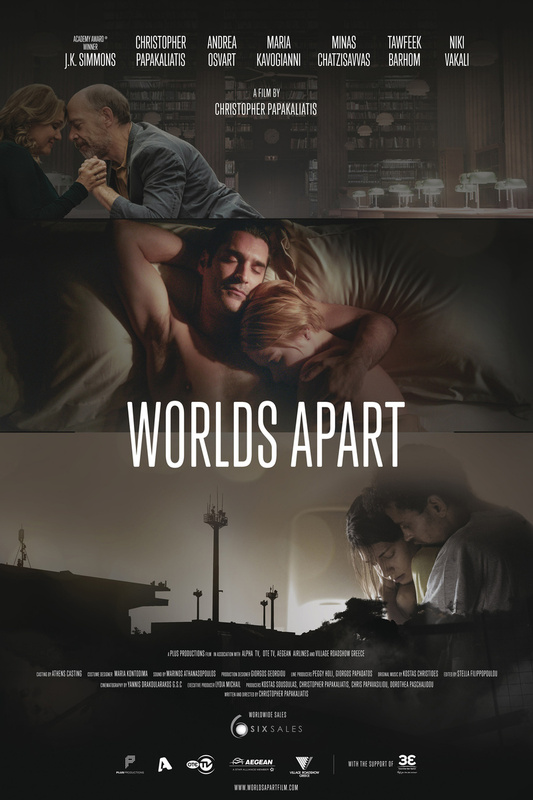 Worlds Apart DVD release date was set for April 11, 2017. In a time of socioeconomic turmoil in Southern Europe, three generations of Greeks find love with foreigners. The first of the love stories is that of a young Greek woman, Daphne, and a Syrian refugee, Farris. The pair struggles to keep their relationship intact with the threat of tension between immigrants and natives ever looming. The second romance highlights a Greek sales manager, Giorgios, and a Swedish efficiency expert, Elise. Strife arises when Elise is hired to cut costs and employees, which puts Giorgios's friend's job in danger. A third romance happens when a retired German professor, Sebastian, becomes infatuated with a married Greek woman, Maria. She is slow to reciprocate his feelings due to a language barrier, but his actions are sincere and this causes her to eventually fall for him. Despite the three love stories being generationally different, they all intertwine for a happy ending.